At the edges of the big cities, older neighborhoods are changing as well-off professionals move in and raise housing prices. But do older residents always have to lose out and move out? A group of mothers are sitting in the public park in the middle of the Kiryat Shalom neighborhood, south Tel Aviv, in the early afternoon. Along with all the happy children, the women – many wearing head coverings for religious reasons – chat. A young couple passes by with a baby carriage and dog. She’s wearing a spaghetti-strap dress while he’s wearing shorts and a polo shirt. One of the women tells her friends: “See how many people have moved in from [the more affluent] north Tel Aviv?” She makes sure she says it loud enough that the couple can also hear. For the past several years, residents of the older neighborhoods have felt something fundamental has been changing under their noses. More and more of their childhood friends, neighbors and acquaintances are disappearing, and in their place comes a different type of population, one that was rarely seen there before: Young people, mostly nonreligious, who earn above-average salaries. They are not rich – if they were, they would almost certainly have remained in the neighborhoods they came from in the center and north of Tel Aviv – but their income is significantly higher than the previous residents. To varying degrees, similar processes are occurring in other south Tel Aviv neighborhoods, such as Shapira, Neveh Sha’anan and, of course, in next-door Jaffa, which has become the trendy new location for Tel Aviv’s middle class. In less than a decade, housing prices have risen by over 100% in all these neighborhoods, and some have seen major construction and urban renewal projects. The same goes for other places such as Neveh Sharett (northeast Tel Aviv), Morasha (Ramat Hasharon), Neveh Yisrael and Neveh Amal (both Herzliya), and many others around the country – nearly all in areas with a high demand for housing. This phenomenon is, of course, known as gentrification. Along with the higher standard of living and improved infrastructure in the neighborhood, it also brings a side effect with harmful social implications: the old residents being squeezed out of the neighborhood. In those neighborhoods where gentrification has pretty much been completed, it’s impossible to spot the original residents – even if a number are dotted around here and there. This is the situation in Neveh Tzedek and nearby Florentin in south Tel Aviv, as well as Jerusalem neighborhoods such as Ein Karem, Nahlaot and the German Colony. Before they became such prestigious neighborhoods, all of them had lower-middle-class populations. Kiryat Shalom still has a way to go before it reaches that level. For now, the neighborhood has preserved its traditional-religious character, as well as the dominant influence of its Bukharan roots. Even so, old residents are already feeling a little uncomfortable. A diverse population has moved in over the past few years, says Sharon Arditi, who lives in Kiryat Shalom and is married to a “native,” as she puts it. Arditi felt the change when they began looking for an apartment to rent in the neighborhood, after outgrowing their old home. She says dozens of people jumped at each apartment on offer, and the landlords raised prices on the spot in light of the enormous demand and limited supply. The situation has its positive side, too, she notes. For example, the neighborhood had a very limited offering of public day-care centers before, but now has many more options. That said, she is still not pleased with what has been lost: It used to be an old-style, friendly neighborhood where everyone knew everyone else. 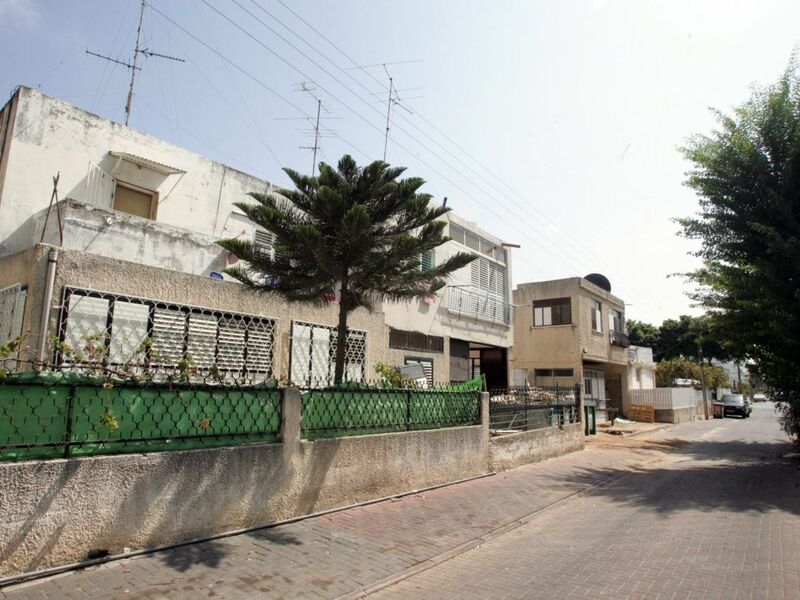 A petition filed in 2013 by the Association for Civil Rights in Israel against the policy of the Israel Land Authority in Jaffa states that the forcing out of the old residents is the main negative consequence of gentrification in Western nations. This “eviction” comes in two forms: The first is direct, in which the original residents are ordered to leave courtesy of the government or courts, as in cases of urban renewal. The second is indirect, where rising prices squeeze out the existing residents. In this case, it’s the free market that causes the damage. The most effective way to prevent residents from being pushed out is to create housing solutions for them, according to Dr. Sebastian Wallerstein, one of the planners who helped draft the Jaffa petition. “Ultimately, it’s a question of housing prices and the ability of the local population to continue to live in the neighborhood,” he says. The solution is social housing, Wallerstein says, adding that there’s nothing wrong with intelligent development so long as you provide housing solutions for those who can no longer afford to stay. Renters are in greater danger in such cases, much more than homeowners. Others view such changes as unavoidable, says Dan Menahem, asset and business development manager at the Reality Investment Fund, which often invests in real-estate projects in areas undergoing gentrification. “One of the biggest problems in urban renewal is the ratio between the number of future units to the present number,” he says. “For the project to be economically [feasible], this must be maximized. This means, in almost all cases, that tower blocks with high maintenance costs replace older buildings,” he adds. Some groups, such as the ultra-Orthodox, are not interested in living in such towers. “In many cases, decision makers see the entry of a new and ‘high-quality’ population into a troubled neighborhood as a goal, even seeing it as a social action – because as far as they’re concerned, that’s how they’re strengthening the neighborhood,” says Gil Gan-Mor, a lawyer for ACRI. What usually happens is that the neighborhood changes completely and the new population takes over. This is a double standard, he believes. “The cities encourage a mix of housing in the name of integration and preventing concentrations of poverty, and in the name of this goal a strong population is ‘imported’ into a weak neighborhood. But the opposite doesn’t happen. No municipality thinks they must create a mix in richer neighborhoods, which will allow weaker groups to live there. It’s always one-way,” says Gan-Mor. The public areas may be improved, with better lighting and safer streets; the city invests more and there are better connections with the government. But the question is whether the city considers preventing the older population from being forced out. Otherwise, this will happen – and in large numbers, he adds. Irit Aharoni is a resident of Neveh Amal and provides examples of how to reduce the feelings of alienation created by gentrification. 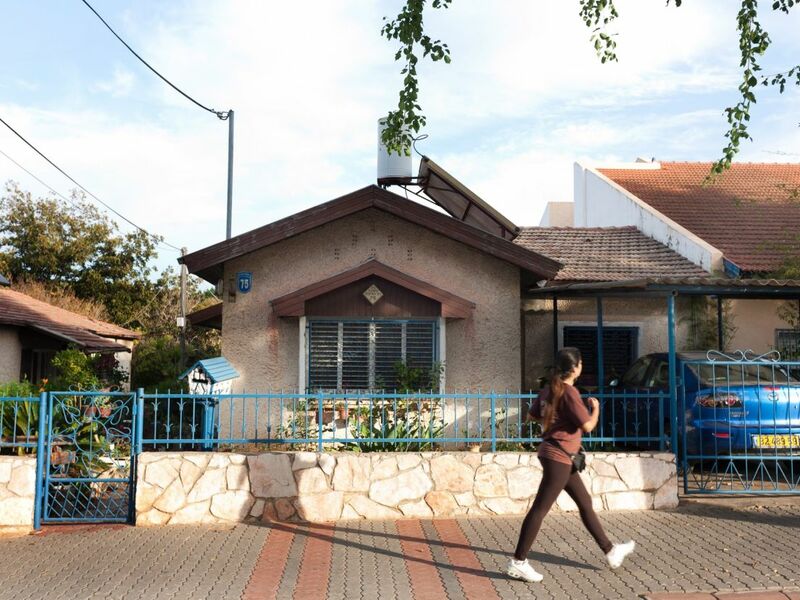 She has lived in this Herzliya neighborhood for over 20 years, but this hasn’t changed her status as a “new” resident in the eyes of the older residents. Back then, the neighborhood was mostly traditional-religious with a large group of Yemenites, and Aharoni was looking for a reasonably priced home with a yard. “At first we were shocked, because it really was a very extreme change in our living environment [from Tel Aviv]. But when the children went to preschool, I began to become more involved in the community and discovered more families who came from the outside, like me,” she relates. The need for a sense of community led her and others to establish an organization to promote community values in the neighborhood and to integrate the newcomers. Her organization hosts community events that look to appeal to every diverse group in the neighborhood. “A neighborhood picnic on the morning of Independence Day has become a tradition, as well as an event to mark the start of summer,” Aharoni says, but notes, “We will never do a neighborhood event on Shabbat.” However, she says the veteran residents are not always excited about these attempts and some still regard them as a threat. Research in the United States shows that gentrification has a greater and disproportionate effect on ethnic minorities. A study conducted in New York in 1993, for example, showed that 86% of households who were supposed to move out because of urban renewal processes were African-American or Hispanic. A similar study in Philadelphia in 2001 found that 83% of those affected were ethnic minorities. The parallel case in Israel today would be what’s happened to the Arab population in Jaffa. Similar to most neighborhoods in south Tel Aviv, the residents of Jaffa have also had to contend with a sharp rise in rents for the past decade. However, the situation in Jaffa has been aggravated by its desirable location and proximity to the sea. 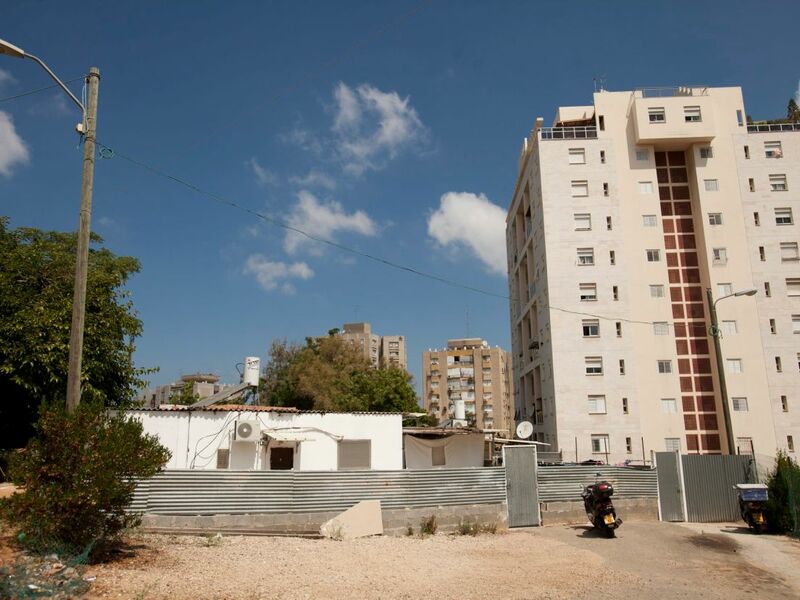 The traditionally Arab neighborhoods of Ajami and Givat Aliyah along the coast have been particularly affected: Boutique projects are being built one after the other there, and the prices have reached 4 million to 5 million shekels for an apartment – if not more. Hedva Finish, deputy head of the strategic planning department in Tel Aviv’s municipality, says no magic solution exists to completely prevent gentrification, noting that it happens in every large city worldwide. “There are only ways to try to regulate the process,” she says. “Today, we are much more aware of the problem than in the past, and are trying not to plan tall towers in weaker areas. It’s a complex and challenging situation.” All parts of the city are entitled to development, infrastructure and a supply of new and larger housing, just as the richer neighborhoods are too – and the minute you build such projects, a danger of gentrification exists, she says. Intelligent development is the answer, believes Finish. In Tel Aviv, they are now setting up a legal basis for funds that will help with the maintenance costs in apartment blocks for the less well-off in areas that have undergone urban renewal, and allow them to continue to live in their old neighborhoods, she adds.